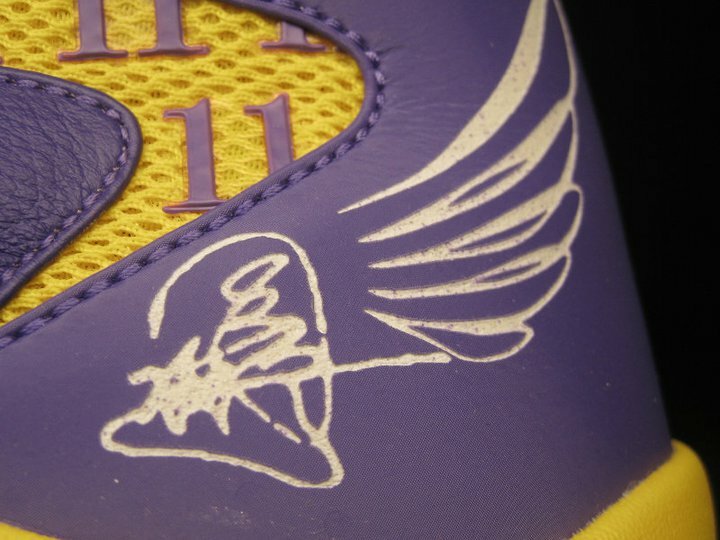 A detailed look at an ANTA shoe created for Chinese basketball star Zhou Peng. 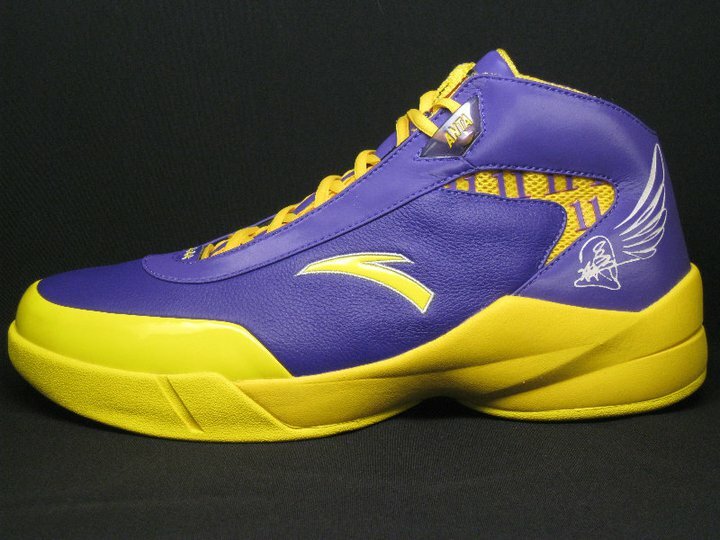 In 2010, we saw Chinese Sportswear brand ANTA make a big splash in the world of footwear by signing Kevin Garnett away from adidas. 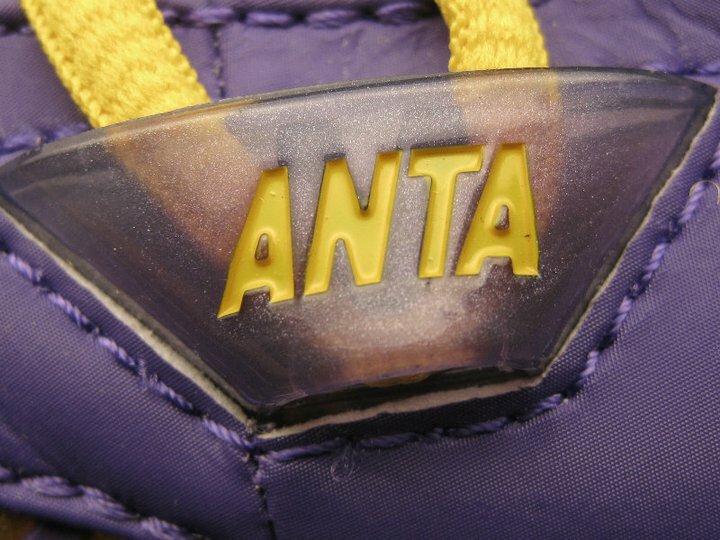 Outside of a few other sightings like Luis Scolas' kicks, ANTA has remained relatively quiet stateside, but is doing big things over in China. 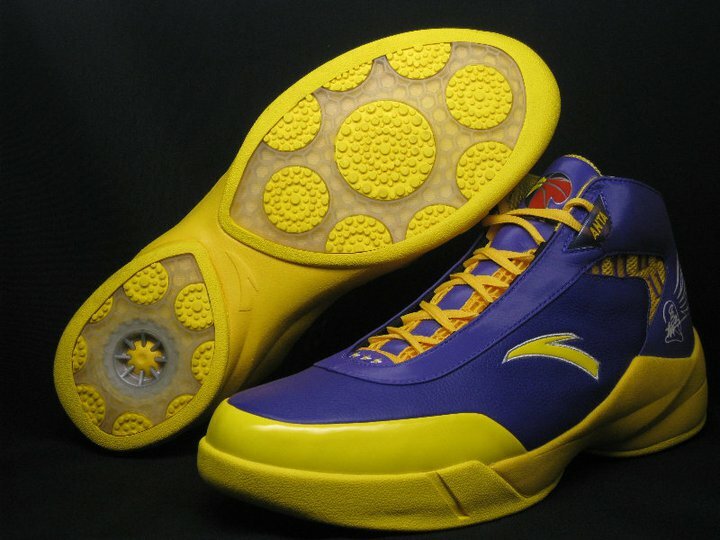 One of ANTA's big deals is sponsoring the Chinese Basketball Association (CBA) and several of the league's top stars. 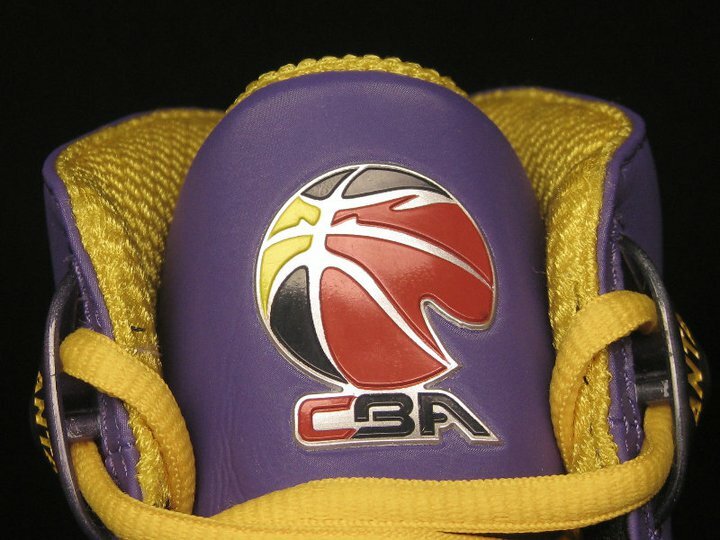 Zhou Peng, the 21-year old point guard of the Guangdong Southern Tigers, is one of the CBA All-Stars representing ANTA. 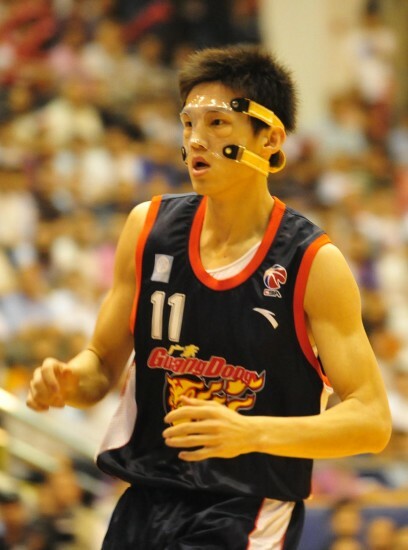 Averaging 11 points and 3 points per game for the Tigers, Zhou has helped them capture the last three CBA Championships. 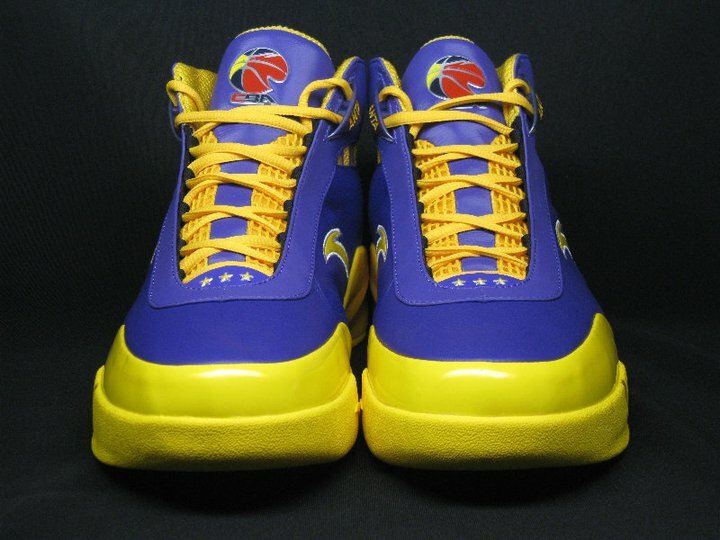 He also made his Chinese National Team debut last summer during the 2010 FIBA World Championships. 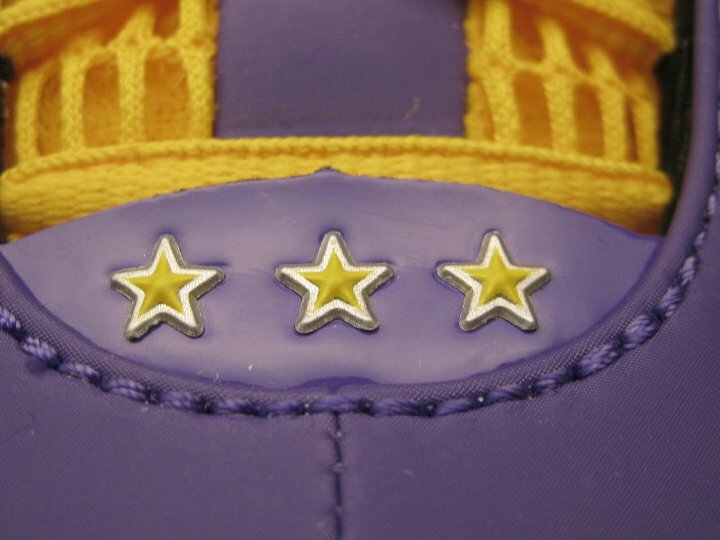 For the CBA All-Star Game, ANTA fitted Zhou with a custom sneaker. 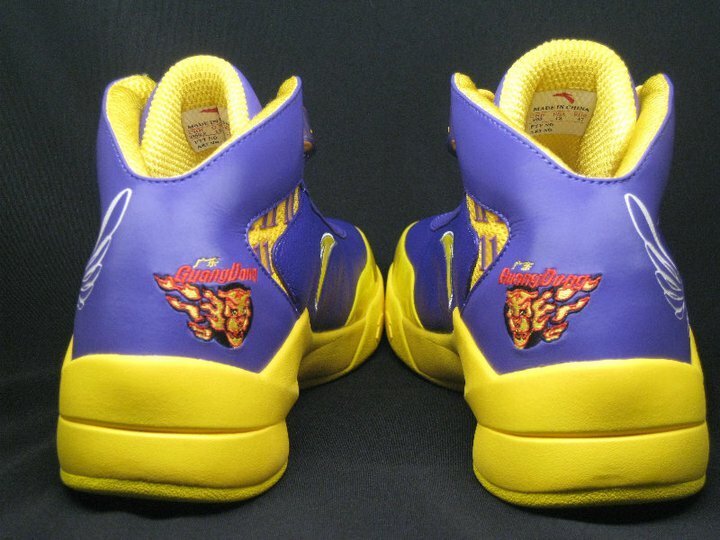 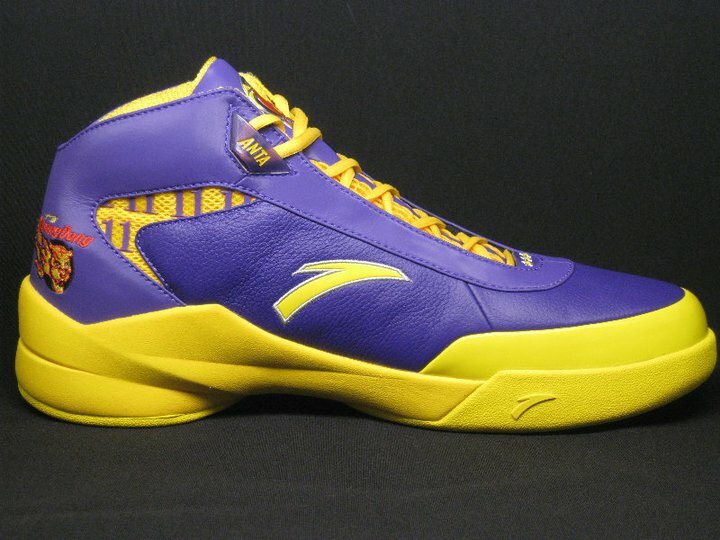 Featuring a Laker-esque theme, the shoe sports a purple synthetic upper, complimented by a yellow midsole and outsole. 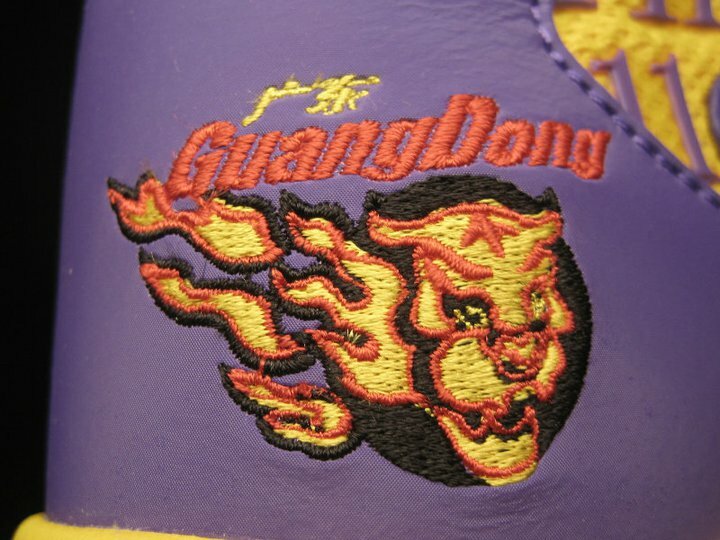 The CBA logo appears on the tongue, while the Guangdong logo is embroidered near the medial heel. 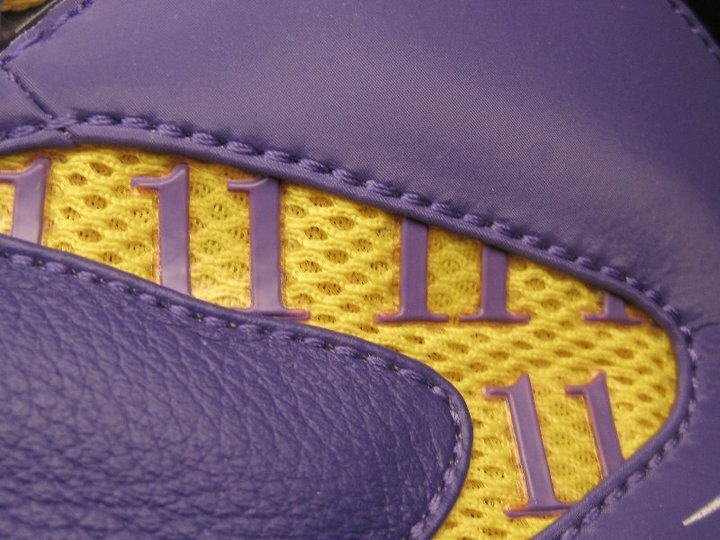 Zhou's number 11 shows up in purple on yellow mesh areas on the side panel. 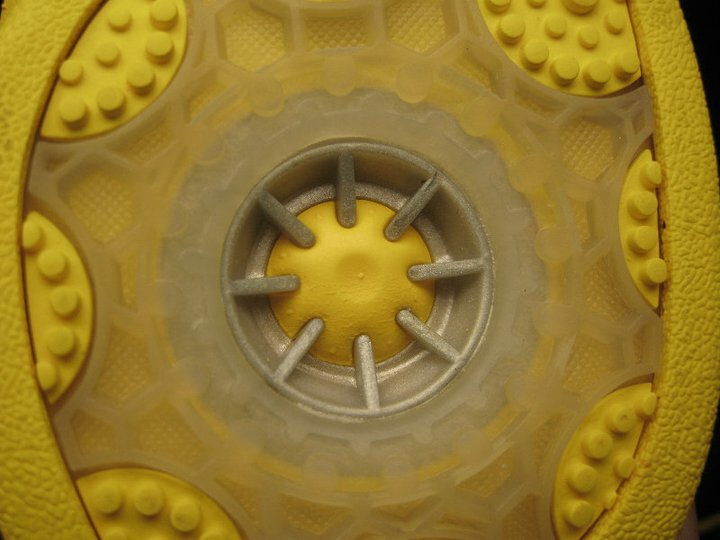 Finishing up below is partially translucent yellow outsole. 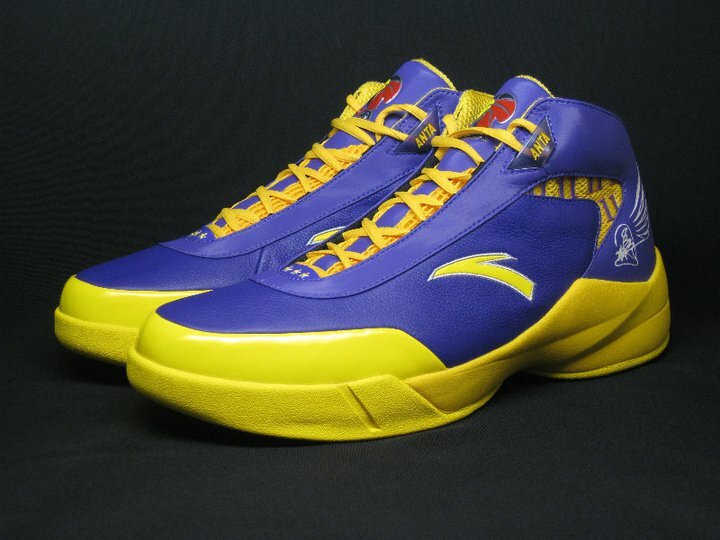 How do you feel about this offering from the folks over at ANTA?